Well.......it’s time for Senior Games again and along with this time of year comes the Kick Off session, or shall I say Kick Off sessions this year. On January 19th and January 27th we had separate Senior Game Kick Offs (one in Kernersville, NC and the other in Winston-Salem, NC). 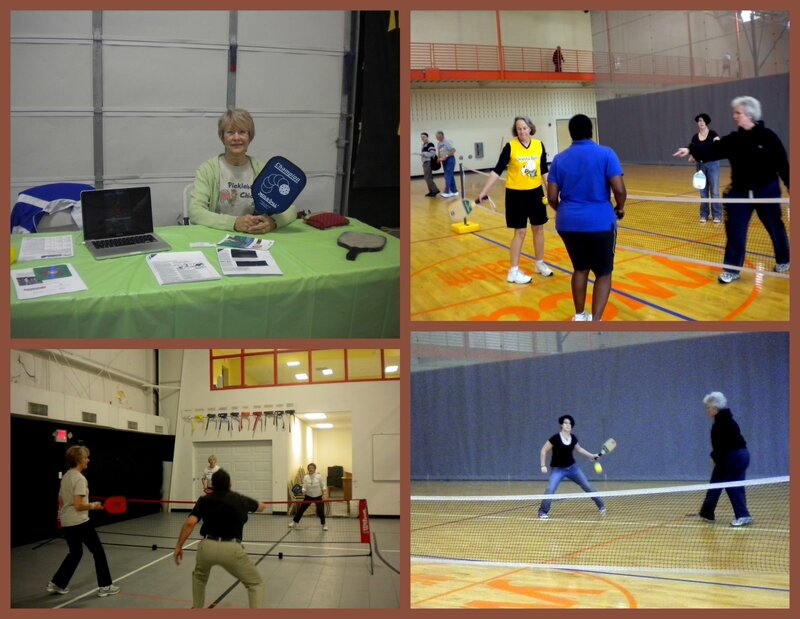 We had the pleasure of showing off the sport of pickleball at both sessions. Last year we had pickleball as a demonstration sport and this year it will be one of the events (even though we will not have pickleball at the State Games as an event). We had quite a few people to try the game and many of them are now asking where they can find the “good” racquets. 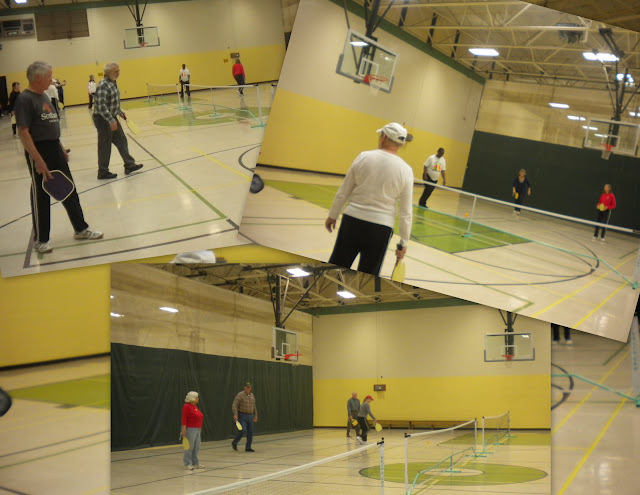 Back in November 2011, I was contacted by one of the Directors at the Alamance County Community Center in Burlington, NC requesting that I come and do a pickleball demonstration for some seniors. We set the date for January 30, 2012, made contact with each other on January 28th to make sure our sessions was still on. Burlington is about an hour from me so I left that morning around 8 a.m. because I figured I needed to get there about an half hour early to set up the nets since they already had badminton courts lined on the floor. When I walked into the gym, they already had 3 USAPA nets set up in the gym and a box full of balls and racquets. As the seniors started coming in I realized that I knew quite a few of the ladies from the senior softball tournaments that I had played in and I knew pickleball would be a big hit with them because most of them were great athletics! About 20 people showed up for the session and we had a great time. I saw the Director this past Thursday at a rules conference for State Games and she said the game has really picked up and they have selected a standard play date on Wednesdays. The Director of the Burlington YMCA also attended the demo and she asked me to come and do a demonstration at the Y on February 23rd. 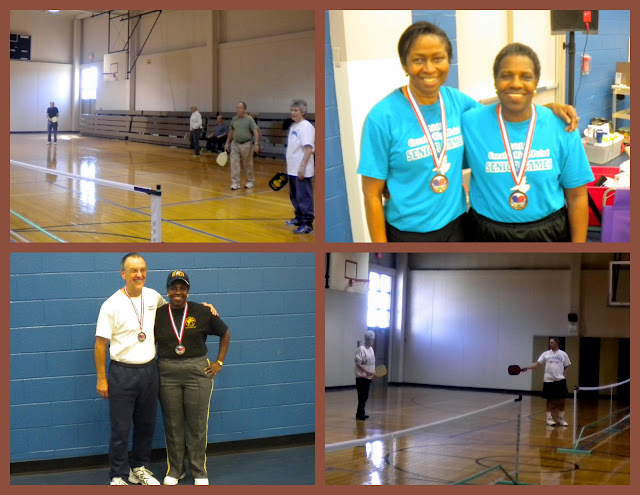 In November 2010, I introduced a small group of people to pickleball at the Cutler Senior Center in High Point, NC. They started out on a modified court in a multi-purpose room on Wednesdays. They now play on Tuesday nights, Thursday afternoons and Friday mornings. They started playing on a couple of regulation size courts on Thursday afternoons at the Moorehead Community Center in January 2012. New players attend each week and the numbers have grown tremendously. Some of the regular players found out about the tournament that took place in Jacksonville, NC and wanted to go and just watch. I talked them into playing in the tournament and some of us started setting up practice sessions that really paid off. We had three teams to enter in the tournament (Calvin and Bill (Men’s 50+); Connie and Vickie (Women’s 70+); and Tina and Laura (Women’s 50+)) and each team brought home a bronze medal! I also completed in the 50+ mixed division and I was paired up with a player from Wilmington and we brought home the silver medal. It was a great tournament and we all had a great time and the group from High Point is searching for another tournament.